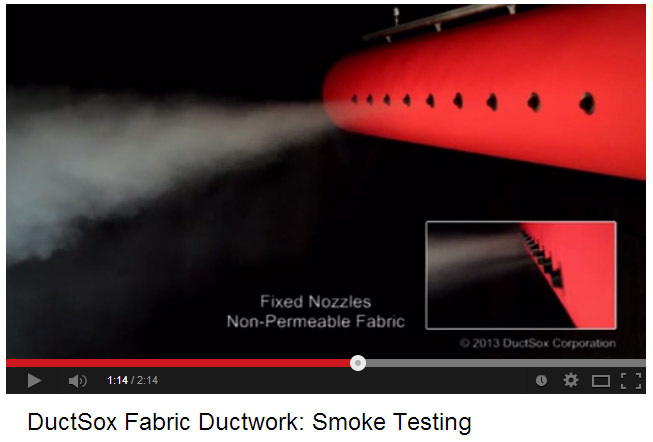 DuctSox Fabric Ductwork: Latest Smoke Test including Nozzles. Click on the link to watch the smoke test on DuctSox fabric ducting. « ecoHVAC receives two awards from Acutherm.